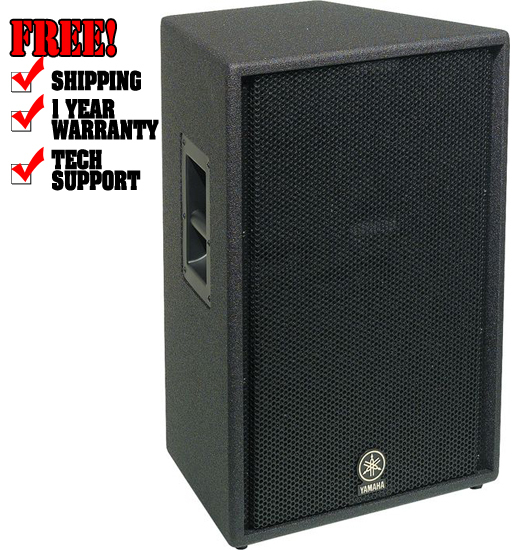 The Yamaha C115V 15" 2-Way Club Concert Series Speaker was engineered to perform flawlessly, delivering a powerful musical experience for both audience and musicians. Featuring exclusive custom-designed electronic components, they have the capability to rock hard every night and come back for more. Low-gloss, tough-as-nails elastomeric coatings shrug off wear and tear for a consistent professional appearance whether you're around the corner or on the road. Paintable elastomeric spray coating easily fits any décor and can be customized with your band's name or logo! The steel grilles are foam-lined with acoustically transparent material to provide a more subdued appearance. The titanium diaphragm compression driver is mated to a 90 degree x 40 degree custom-designed horn. Internal electronics feature an over-built crossover network and overload protection. Connections are dual Neutrik Speakon and 1/4" jacks. 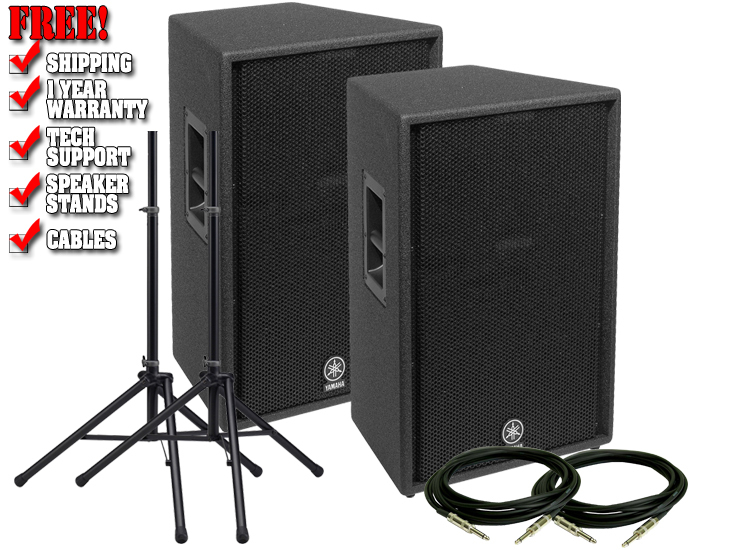 The C115V 2-way enclosure features a cast-frame 15" driver and 2" tweeter. Frequency response: (-10dB) 55Hz - 16kHz. 500W program handling, 1,000W peak. Sensitivity: 99dB. 19"W x 28"H x 15"D. 60-1/2 lbs.